Seattle almost tops the list of cloudiest large cities in the United States. The number of sunny days are limited to less than a 100 in an year. And when we have one of those precious sunny day falling on a weekend we would not miss a chance to head outdoors. So on a beautiful sunny Saturday in early May we decided to take this drive. 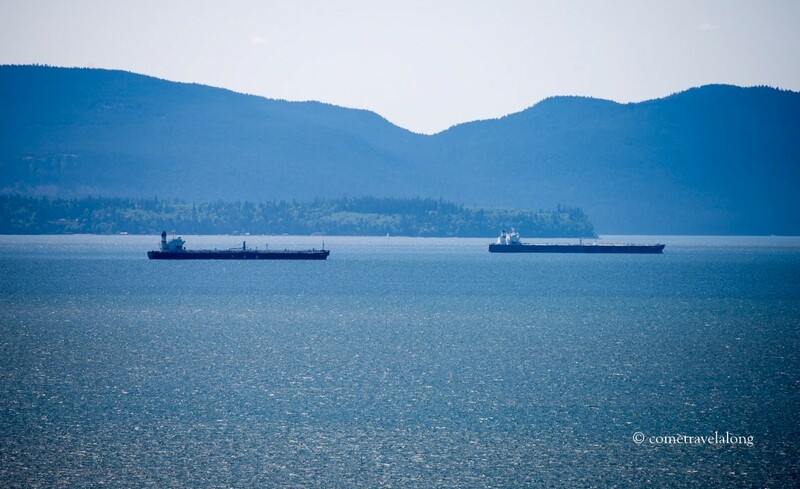 Chuckanut Drive is about 75 miles north of Seattle. It is a 21 miles scenic route with views of farmlands, lakes, mountains and beaches. 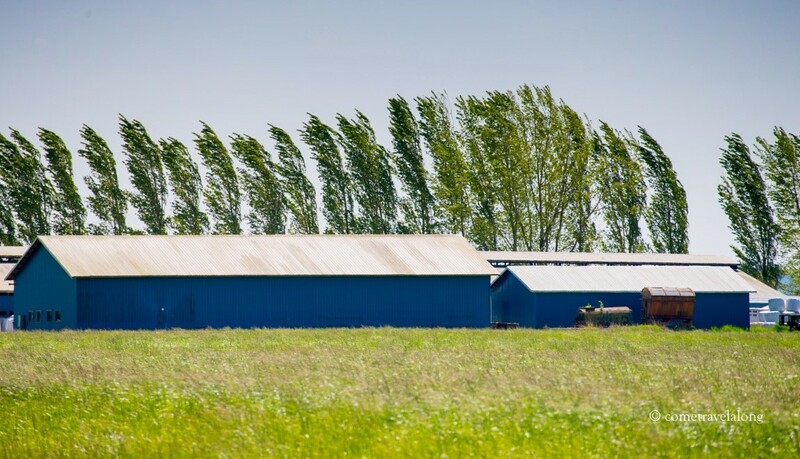 We started our journey and drove through the lush farmlands, in and out of the towns of Allen & Bow. The views were pleasing and the surroundings looked gorgeous. The views of the farmlands and the mountains behind were adding a charm to the place. 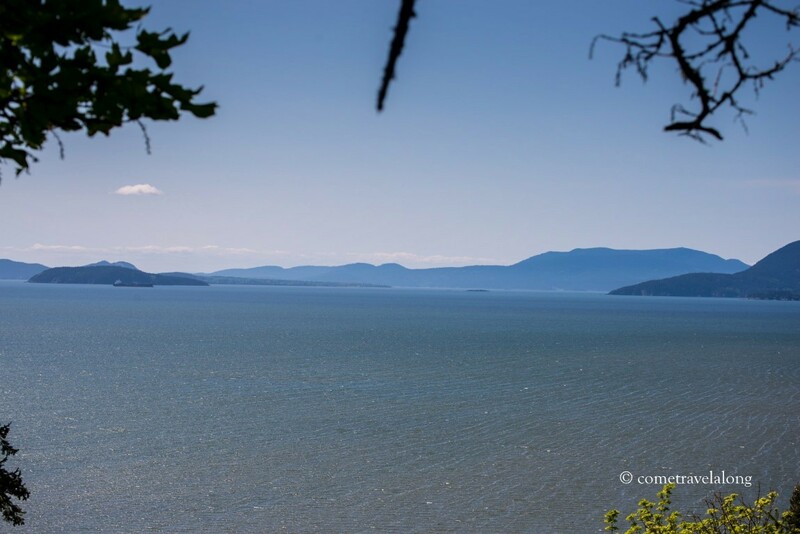 The drive then continued on the rock shoulder of the Chuckanut Mountains. 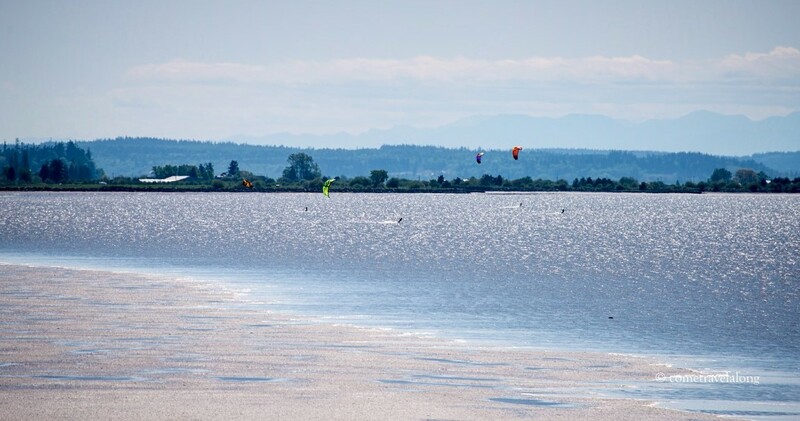 We spotted many water gliders in the Samish Bay. They were enjoying their sunny day. 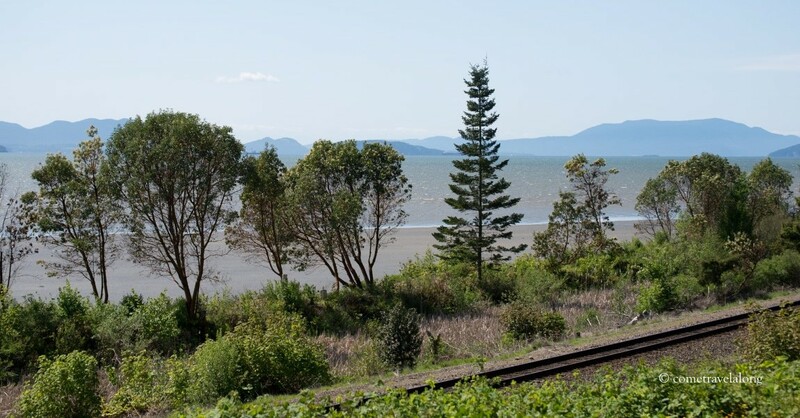 There were railway tracks close to the Samish Bay enhancing the impression of it being an old time scenic highway. 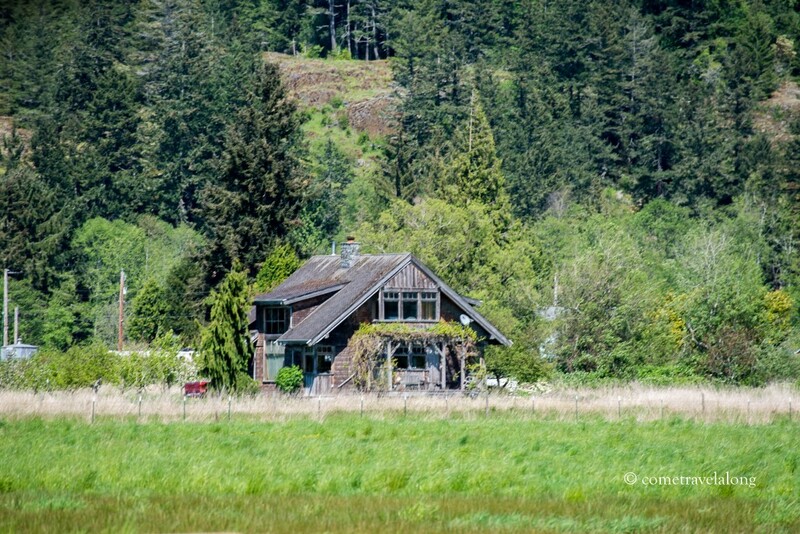 There were many pullouts along the drive and we enjoyed the views of the Samish Bay. 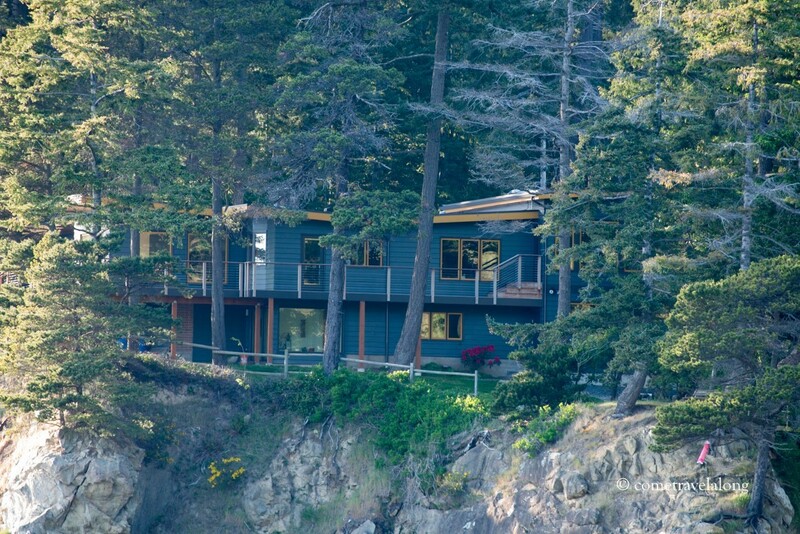 In the distant we could overlook the breathtaking views of the San Juan Islands. 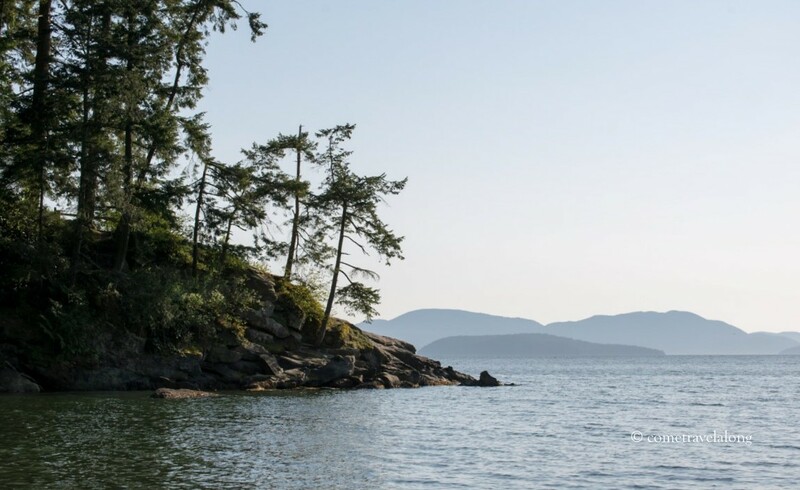 We enjoyed the views on the way and reached Larrabee State Park. 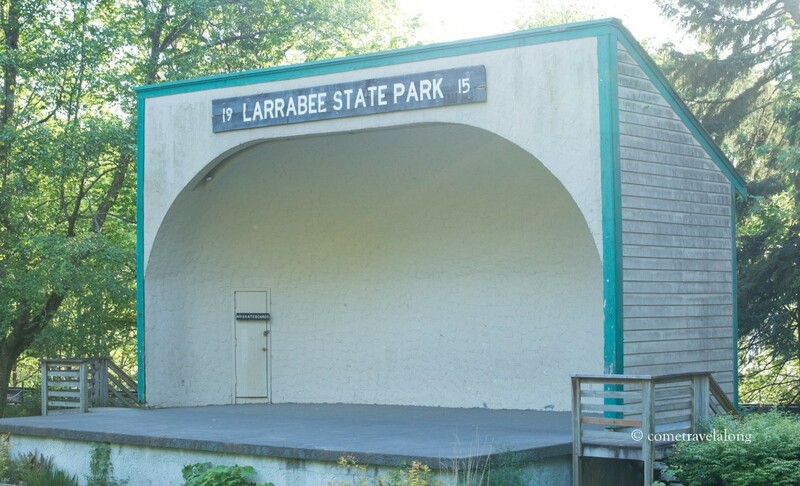 This park features freshwater lakes, coves and tidelands. 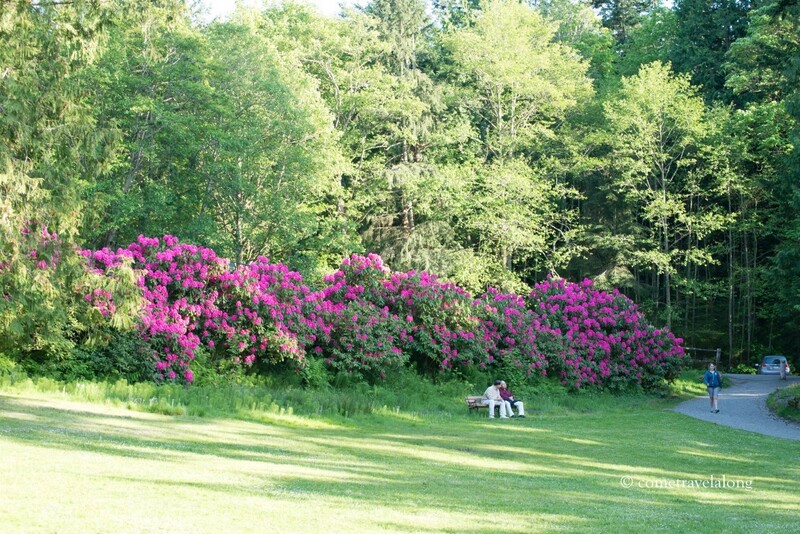 It provides camping facilities and all the camp sites were booked that weekend. There are few hikes around the area and we went on to hike Fragrance Lake. It was about 5 miles round feet and 1100 feet elevation gain. The lake was small and beautiful and there were people actually swimming in the lake. 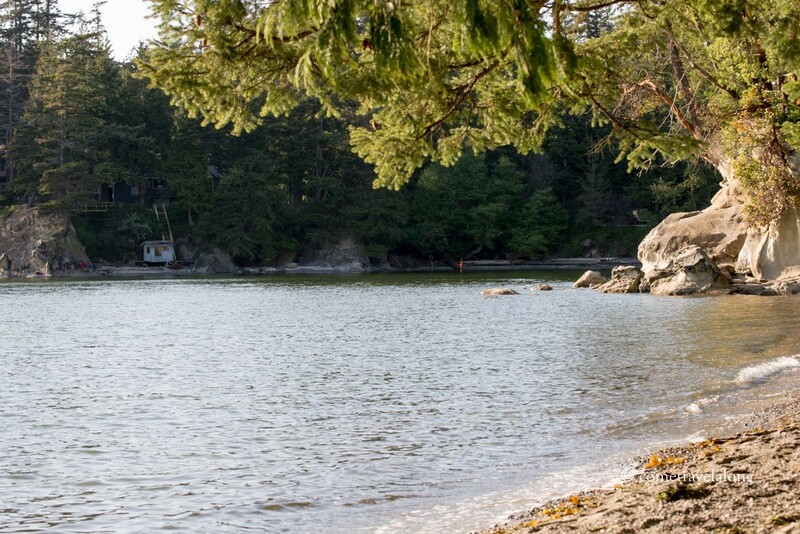 We spent our afternoon at the beach access area of Larrabee State Park. We had packed our picnic lunch and we enjoyed it there. People were relaxing on the small beach and kids were playing around. 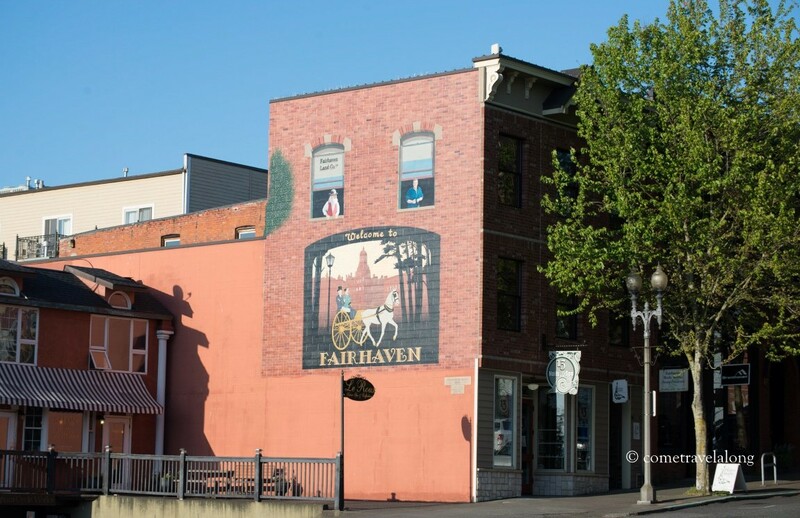 The drive continued all the way to the 1880’s brick town of Fairhaven. 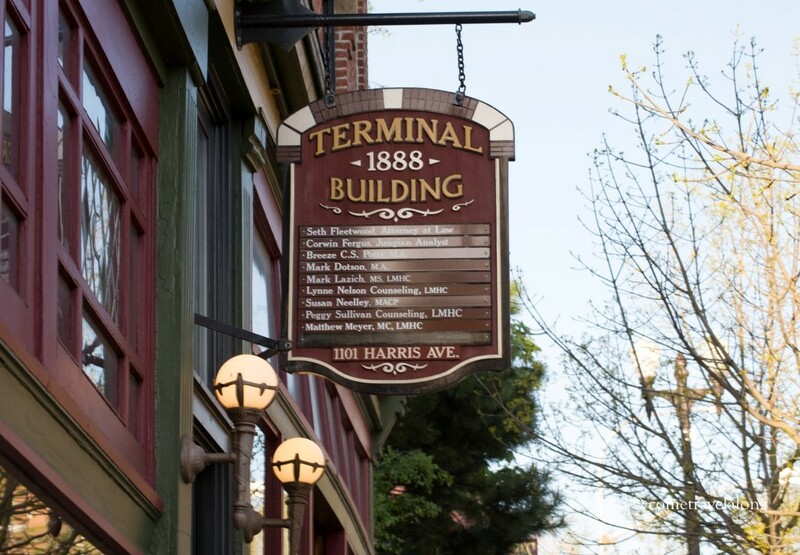 The town still has many old and historic buildings providing a unique setting to the place. 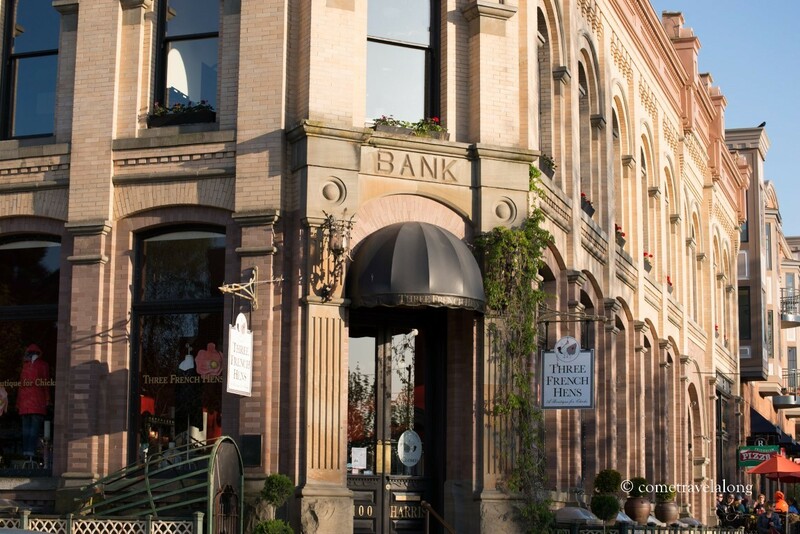 Built during the second boom era of Fairhaven, the Nelson Block, trimmed with Chuckanut sandstone, served as a bank for over 30 years until the second Depression forced it out of business. 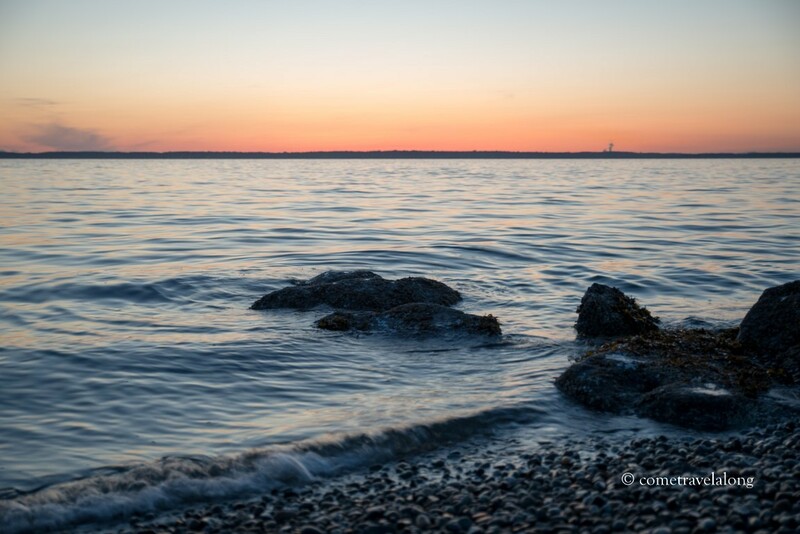 We strolled through the town and witnessed a beautiful sunset at the Marine Park. Another shot captured with a long exposure. We had our dinner at a cozy Thai restaurant in the area with live music. We headed home with images of a lovely day. It was a nice relaxing drive and we enjoyed the beautiful water views of the Pacific Northwest. Thank you for this virtual tour! Thank you Sarang! Hope you have a nice weekend! Beautiful! I enjoyed taking this tour with you. I am glad for this PJ! 🙂 Hope you have a lovely Friday! Qi remember a rive from when lived in Everett. Beautful coastal drive. I am glad you could relate with these pictures. Thank you for your visit here. Great photos. I love that drive.